Chili's Popular Honey Chipotle Chicken Crispers, So Easy & Delicious! When it comes to anything chicken, Chili’s Honey Chipotle Chicken Crispers are a bonafide legend. 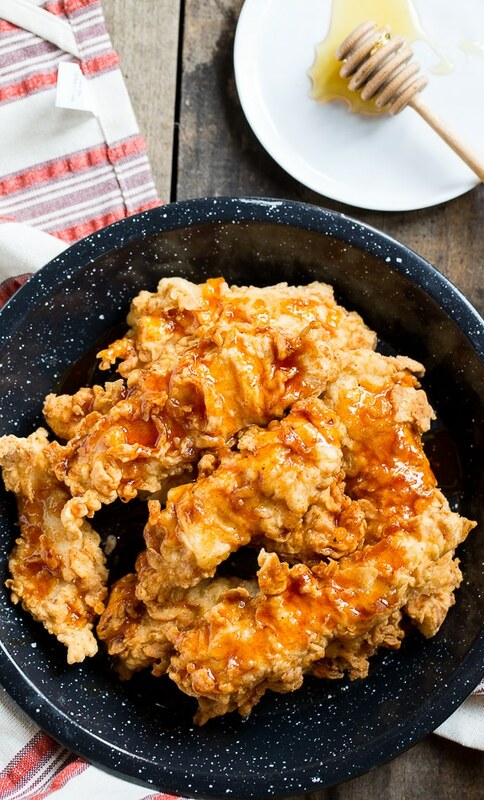 That juicy, tender white chicken covered in a perfectly crisp batter and smothered in a sweet and spicy sauce is simply irresistible! 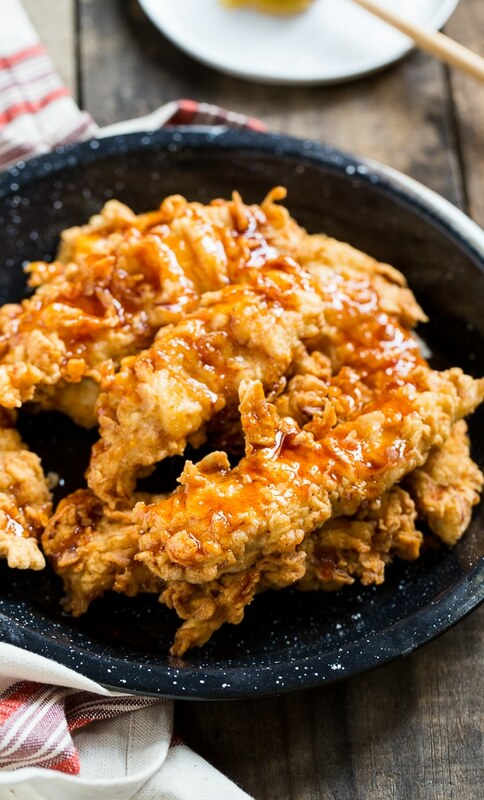 I’ve tried recreating their famous Honey Chipotle Chicken Crispers several times, but no recipe ever did them justice — until now. This recipe went viral, and it’s no surprise why. With simple ingredients and stress-free directions, this recipe is unbelievably easy! No wonder it’s one of the most popular ‘copycat’ recipes on Pinterest. They’re the perfect balance of sweet and spicy. You can easily adjust the spiciness according to your preference too — and that’s not even the best part! Each bite of Honey Chipotle Chicken Crispers will bring the biggest smile to ANYONE’S face. Home cooks love this recipe so much they make it more than once a week! From weeknight dinners to potluck parties, Honey Chipotle Chicken Crispers ALWAYS hit the spot. You can dip them in ranch or serve with a side of french fries and corn just like Chili’s does. However, these bad boys are satisfying enough to eat on their own. So what’s the BEST part about this recipe? They’re surprisingly MUCH HEALTHIER than the original version at Chili’s! Honey Chipotle Chicken Crispers aren’t just mouthwatering and satisfying, they’re also guilt-free. Preheat oven to 400. Pour melted butter onto a large baking sheet and brush to coat entire surface. Whisk together flour, and salt and pepper in a bowl. Place bread crumbs in a second bowl, and eggs in a third bowl. Dip chicken into flour and turn to coat. Next, dip chicken into egg, turning to coat, and lastly into panko bread crumbs, tossing to coat well. Place coated chicken strips in a single layer on prepared baking sheet. Bake 8-10 minutes, then flip strips over and bake another 8 minutes. Remove from oven. While the chicken strips are baking, prepare the sauce. Add all ingredients except for water and corn starch to a large sauce pan and bring to a gently boil, whisking throughout. Whisk together cold water and corn starch until corn starch is dissolved. When sauce reaches a boil, add corn starch-water mixture and stir until sauce thickens. Reduce heat to low. When chicken strips are finished baking, dip chicken strips in sauce, tossing to coat. Serve warm with ranch dressing for dipping if desired. Recipe inspired by Spicy Southern Kitchen and Creme De La Crumb.